You turn the key on the dashboard of your boat and nothing happens. With the key in the “Run” position, the gauges on the dash activate, the audible low oil-pressure warning sounds, but the starter on the engine fails to activate and start the motor. Since the gauges work, chances are the starting battery is charged. Since the starter doesn’t engage and even slowly try to start the motor, chances are the battery isn’t just low on energy. You probably need to replace one of the two starter solenoids present on MerCruiser engines. Locate the two solenoids on your boat's motor. One (called a slave solenoid) sits on the top of the engine block and is easy to access. This solenoid has two heavy-gauge red wires attached to it and a small-gauge red/yellow wire. The second solenoid is similar to an automotive engine design and sits atop the starter motor. That starter motor is located on the lower port side of the engine (lower right if you are in the boat, facing the stern, looking at the engine). Depending on the boat, deck and engine mounting system, getting at the second solenoid can range from fairly easy to nearly impossible. Check the slave solenoid with a 12-volt test light first. Clip the ground wire of the test light to the negative pole of the battery or metal part of the engine. With the key in the "Off" position, touch the point of the test light to each of the heavy wire terminals. One should be hot, the other cold. The small, red/yellow wire should likewise be cold. Continue touching the red/yellow wire terminal and have your helper turn the key switch to the "Start" position. The light should turn on as that wire is energized. Now touch the large wire terminal, which was cold. Have the helper again turn the switch to the “Start” position. If the solenoid is working, switching the key to "Start" will energize that wire. Disconnect the positive battery terminal. Change the slave solenoid by detaching the wires, unbolting the old solenoid, and replacing and reattaching the wires. To change the main solenoid, the starter motor must first be removed from the main engine, then the wires removed, then the solenoid removed from the starter motor. 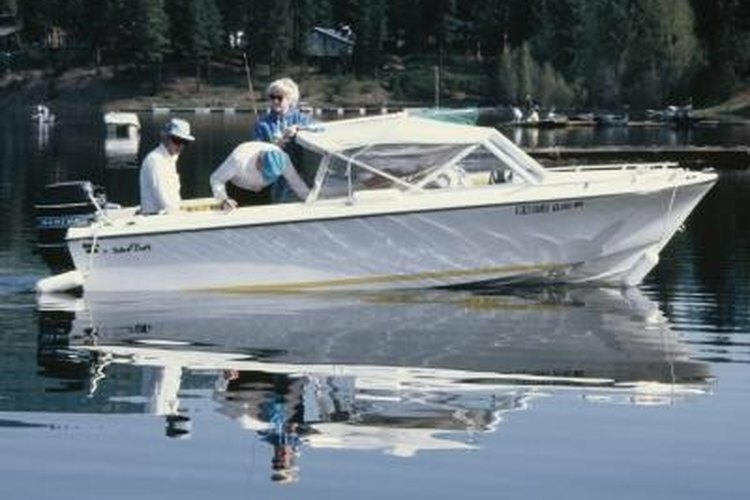 Reverse the procedure, then reinstall the starter and hook up the battery; the boat’s motor should start.